Kathy is a great manager, friendly& knowledgeable. The rental office is conveniently located, the truck was clean and operated without problems, and the personnel at the rental office were knowledgeable, efficient, and friendly. It was a great experience. Very nice people. Prompt and always eager to help. Money well spent when you work with this group. Manager on site makes you feel like family. The staff was very helpful, even though I know how to hook up and tow trailers, they did not hesitate to take the time to hook up the trailer and go over how to pull a trailer. My experience with this u haul place I don't know what could have made it better. The staff did everything I could ask for. My experience was great. I received excellent service. I am a satisfied customer! My husband and I had to get a uhaul last min. We went to this location with no resvation. The ladies were extremely friendly and knowledgeable. We were in and out in less than 10 min which was perfect since we had our 2y/o son with us. The van was very clean and looked basically new even though the Miles should it wasn’t. We will definitely be renting from here again!!! Very Friendly Staff! Great location, truck was ready when we showed up. Staff was super friendly and helpful. Made check-in and check-out easy and fast. Staff was very friendly, efficient and knowledgeable. Location was good, but tricky to find off Beltline Rd. This staff was amazing. I worked with 2 people over the pickup to drop off. The app at drop off gave me some issues so I called the next day and the attendant was so helpful and thankful that I reached out. I will always use this location. The lady who helped me was great. She was helpful and polite, and let me borrow a padlock and furniture dolly at no charge. Elizabeth was GREAT! I called her early in the day to see if I could pick up a little early. She said I could. When I showed up, she had all my paperwork ready to go, addressed me by name, and helped me familiarize myself with the truck I was renting. She was really friendly and helpful. I'll definitely recommend this location! Catherine was awesome in getting us what our company needs to keep going when it really counts! Attention to detail and is a real problem solver! Thank you! Everyone I dealt with was so friendly, knowledgeable, and accommodating! Could not have had an easier experience!! I love this location, especially the employees-they apparently really enjoy the work they're doing and their enthusiasm spreads to their customers. They totally made my day! The entire process was fast & easy which helped take some of the hassle out of moving. The staff at Watson & Taylor were friendly and super helpful! I cannot remember the name of the young lady that helped me at the location off Beltline and Addison but she was awesome!!!!! Katherine was awesome, I had a storage at another place and came in for a truck only. She sold me the truck and storage, saved me money and time. Staff was very hard working. The sales woman at this location was very helpful and knew what she was doing with the equipment. This location was amazing! The best uhaul location thus far. Self check in was super easy and the return process was super easy! The young lady that helped us was wonderful! Definitely will recommend this location! Katherine is so professional and cool! The facility is super clean and everything went like clockwork. During my move on June 29-30, 2018 I had a HORRIBLE experience with U-Haul location at 5755 W Fuqua St, Houston, TX 77085 and was afraid to try another location. 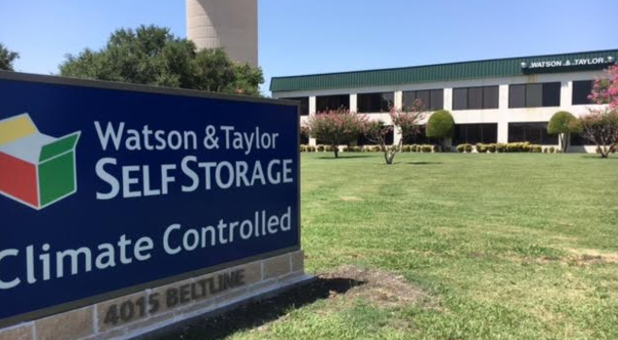 But, this location, Watson & Taylor Self Storage, has saved the reputation of U-Haul by providing excellent customer service. I'm impressed with them and will recommend to everyone to come to this location. Staff very friendly and helpful. Would definitely go back! The service was excellent! Thank you for you for helping make my move easier! Quick and easy with friendly associates. In and out in less than 10 minutes. Everything went so smoothly it’s unbelievable. The truck was ready when I needed it. Katherine, and Lindsey at Watson & Taylor were amazing. The truck was clean, and ran better than my own vehicle. This is where you want to rent your U-Haul. Outstanding service from the staff there. Very efficient and hard working. The service was quick and efficient! I was very pleased with the van that I rented. The staff was very polite and welcoming! Good service, helpful staff, truck was just what I needed. Very nice employees. Very accommodating. Lindsey was great! Best customer service I’ve experienced in Texas!! The lady that took care of us was excellent and friendly!! I will use your services when I’m in need of service. How to improve? HIRE MORE PEOPLE LIKE THE TEAM IN ADDISON TEXAS! Everything was just perfect will be back. I was extremely pleased with the customer service given. Thank you! The staff was very easy to work with and processed everything very quickly. I appreciate the pricing structure. This was a pleasant surprise. Thanks for a great cup of coffee as well. I will use this location again. The representatives were so helpful both ways. Lindsey and Katherine are awesome. They were very nice and professional. Katherine Buckner was extremely kind and cheerful. Although it was a beautiful Saturday, she made me feel like there was no place she would have rather been than there taking care of me. Made moving a bit more pleasant...and she had a candy dish on the counter!!! YAY!! I left home without breakfast so that was just icing on the cake!! Wonderful service from Katherine Buckner! Lindsey was great and very professional. Very helpful. Katherine is a wonderful asset to your company. Very efficient and friendly! Katherine took real good care of us. Katherine was very professional and friendly. Gave me lots of info useful for one that has relocated to this area. Matt made the storage experience quick, simple and easy. Thank you! Katherine Buckner is very pleasant and made our move so much easier! Thank you! Matt was amazing, answered all my questions. Answered the phone on the second ring. Sent me all the paperwork via email, and I arrived everything was done in less than 10-15 minutes. Staff is awesome. Katherine was very helpful. She solved my U-Haul problem very quick. Thanks Katherine. Katherine is the sweetest person I've ever met. She is so friendly and helpful and smart. Matthew was very knowledgeable and helpful throughout the entire process. Very friendly! Fast and efficient. JD was so helpful and nice. He asked all the questions I had not thought of. Very thankful. Excellent service from Matthew. Answered all my questions, got me into a unit very efficiently. Good guy! Matthew was a great help in every form and fashion. JD and Matt were very, very helpful and professional. Really helpful. Got me in and out quick. Great service. Great Units. Good people on site. Awesome help, customer service, guidance, communication. Awesome. JD was excellent in every phrase. Very professional, courteous, and insightful. No matter the question, he was always patient The unit was clean and cool. Very nice and friendly. Honest. JD very helpful. Will come back here. Nice and clean, no odor, easy access, and close by. Matthew Scoggins was awesome. He really looked out for me when he could have looked the other way. Awesome Assistant Manager. I will let others know about Watson and Taylor. JD and Matt were very helpful to me and the other customers while I was there. They are very professional. Great attitude, very knowledgable, friendly + detail oriented. Very happy to do business here. Excellent Service. Great customer service given by Matt. Property was great and so was the service! JD was awesome. He made the process very easy and he was very knowledgeable. Great customer service! So glad I went with Watson & Taylor. Awesome service! Very helpful in accommodating my needs. Clean units and very friendly staff. Best storage experience of my entire life. JD really made my whole experience amazing. Can't wait to refer you all to my friends. Thanks so much. I am writing to commend your employee, J. D. Zuniga. He conducts your business in an exemplary manner. He is courteous, competent, helpful, friendly, and cheerful; and he always remembers your customers. He recently volunteered to help my grandson move an item from my prior unit (1261) to my current unit (8068). When I offered him a tip for his kindness, he declined and thanked me but asked that I write a note to you expressing my overall experience with him. You are fortunate to have him in your employ. It always is a pleasure to deal with him. Your customers are in his "good hands". We were very pleased with our move in experience. The guy who checked us in was friendly and worked quickly to get us checked in. Clean facility. Great location. Clean location. I feel safe storing here. Our storage unit was recently robbed. What was once packed floor to ceiling, front to back, was almost wiped out. This place is obviously NOT secure enough, AND they do not check the padlocks in a timely manner to ensure they have not been compromised. Cameras are NOT located in each aisle of units, and the gated/code-required facility is obviously NOT secure enough. The people who robbed our unit took their time going through our stuff and choosing what they wanted. Thank you for alerting us to this unfortunate event, and we regret your loss of property. As we discussed over the phone, the circumstances of the break-in are very unusual, and we have not incurred any other criminal activity in the last year. We have reviewed the gate access log, our video surveillance tapes, and our manager's daily property inspection records, and we cannot find any irregularities. All of our surveillance equipment is top quality installed by certified vendors, and we have verified it is in good working order. We will continue to support you with the Addison Police Department investigation. We appreciate your past business, we regret your loss, and we will cooperate with you to resolve this matter. Thank you, Watson & Taylor Self Storage. Very good service!!!! I would recommend this place to my mother!! 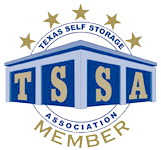 I have always had an excellent experience when dealing with any staff member at the Watson Taylor Self-Storage on Beltline Road in Dallas, Texas. Always a friendly smile and great conversation. And they keep the refrigerator full of bottled water! !